The LIU provides Academic Support through a variety of services. Comprehensive Planning is a continuous process used to ensure that all students are achieving at high levels. All districts can create better environments so that more students are successful. Professional Development on English Language Learners. The Gifted Education Network provides a professional learning community forum to discuss issues related to instruction and assessment of students who are in need of gifted services. 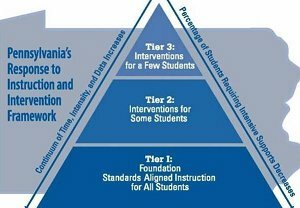 Response to Instruction and Intervention (RtII) is a comprehensive, multi-tiered, standards-aligned framework that provides instruction and interventions to match the needs of students. This program offers Career and Transition Consultation for students with disabilities, community networking, business and education programs, student training programs, and more. Student Learning Objective (SLO) is a process to document a measure of educator effectiveness based on student achievement of content standards. Chapter 49 of the PA School Code requires that all first-year teachers and educational specialists participate in an induction experience.